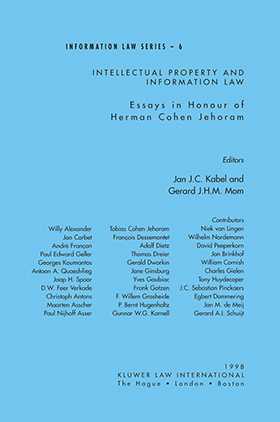 This significant new work honours the tremendous achievements of Professor Herman Cohen Jehoram in the field of intellectual property law. Herman Cohen Jehoram put the Netherlands on the intellectual property law map through his organizational and academic work for the World Intellectual Property Organization (WIPO), the Association Littéraire et Artistique Internationale (ALAI), and the European Commission. He has also served as the voice of Dutch copyright law abroad and has been described as the founding father of the University of Amsterdam's Institute for Information Law. This collection of essays is worthy of the person. International in scope, the contributions from prominent experts cover a broad range of topics in intellectual property law reflecting the broad academic and historical interests of Professor Cohen Jehoram.